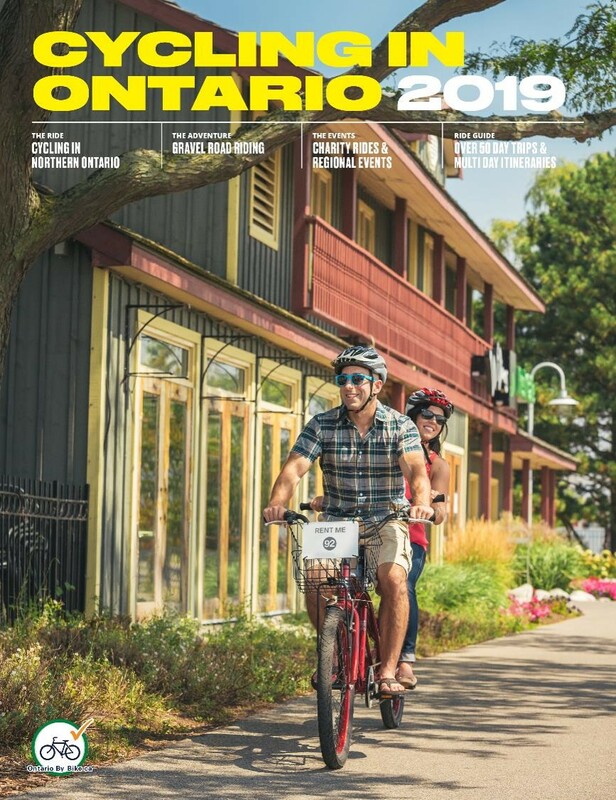 For cyclists, the Ontario By Bike™ Network offers a variety of information on cycling in Ontario, inspiring visitors and residents to explore more by bike. Find great places to cycle, links to useful cycling maps and plan your day trip or multi day cycling itineraries with stops at certified bicycle friendly businesses enroute. View our on-line map with the location of and links to accommodations, restaurants, cafes, wineries, attractions, bike stores, tours and rental locations that all offer cyclists extra services and amenities, creating a positive experience and fuelling your desire to get back on the saddle to explore more of Ontario by bike. For tourism industry partners, the Ontario By Bike™ Network is a program certifying and promoting bicycle friendly businesses and cycle tourism in a growing number of regions across Ontario. The Network is open to accommodations, food services, attractions, cycling related businesses and organizations interested in cycle tourism. 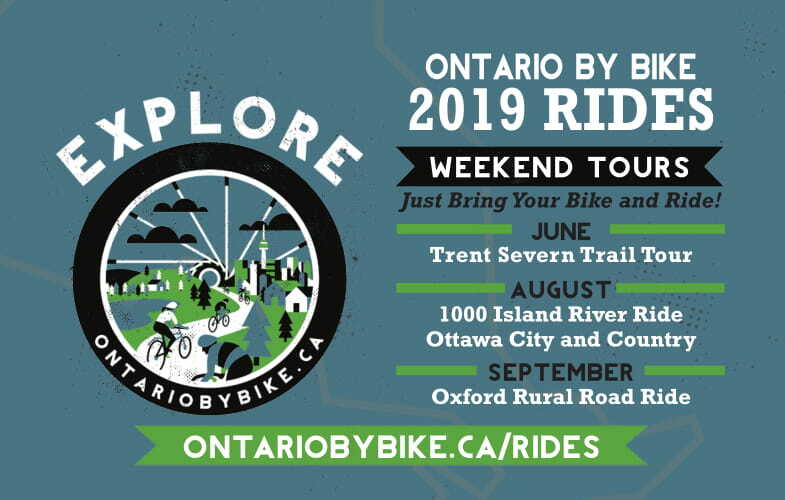 The Ontario By Bike™ Network is launched in each region with an informative workshop, after which local businesses may register on-line, at no charge, to participate and ultimately reach the growing number of cycle tourists in Ontario. 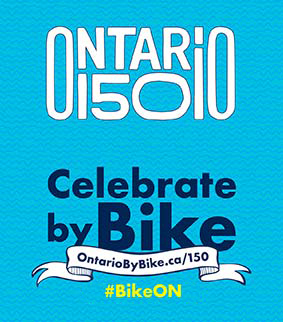 In January 2014, the Network was rebranded as the Ontario By Bike™, after having been formerly known as The Welcome Cyclists Network. For more information on the rebranding click here. Read more about our programming and plans to further grow cycle tourism in Ontario, with our 2019 to 2021 strategic plan. Download overview document here. The Ontario By Bike™ Network (formerly the Welcome Cyclists Network) is a project of Transportation Options, a non-profit organization dedicated to fostering sustainable mobility and tourism solutions across Ontario. We do so by engaging in projects that research, develop and promote new transportation and tourism choices, with a focus on those that are integrated, environmentally sound, healthy, service-oriented, and improve the experience of users. Louisa has been working on sustainable, green and new tourism initiatives for a number years. Her current position as Executive Director with Transportation Options has her overseeing a number of innovative projects and programs fullfilling the organizations' mandate of fostering sustainable mobility and tourism solutions across Ontario. Having worked for Transportation Options since 2008, Louisa has been responsible for launching the Ontario By Bike Network (previously the Welcome Cyclist Network) with an extensive workshops series and support program. She has also worked as the Greenbelt Express and Operations Manager for the Bike Train Initiative and as Assistant Coordinator of the 2009 Ontario Cycle Tourism Forum. She now manages all aspects and program areas for the organization and her responsibilities include program development, marketing and communications, HR, finance, fundraising, strategic planning and partnerships. A keen cyclists and outdoors enthusiast, she holds much knowledge of the cycle tourism and outdoor adventure sectors in Ontario – and is always keen to get out there to learn more. Michael is a seasoned strategic marketer and project manager in the field of tourism and has a strong passion for cycling and 'slow travel' in general. Having joined Transportation Options in October 2013, he aims to build upon the incredible work that has been done within the organization and further establish Ontario By Bike as Ontario's leading cycle tourism program. Michael has developed strategic marketing and communication strategies for tourism businesses and organizations around the world and is pleased to finally be working within his home province of Ontario. He loves getting on his bike and exploring cities, communities, and countrysides throughout Ontario and around the world. The Ontario By Bike™ Network Program was developed in response to Bike Train passenger feedback from the 2007 pilot year evaluation survey. Some passengers who completed the survey indicated their accommodation did not have adequate bicycle storage facilities and/or other related services. This prompted the development of a set of standards and criteria to certify bicycle-friendly accommodations and to provide tourism product knowledge training to managers of hotels, inns, motels and bed & breakfasts, food service providers, attractions and other businesses of interest to cyclists. In preparing for the 2008 test pilot a lengthy research report was compiled that included examples of a number of other large networks world-wide that have successfully implemented a similar program. In 2008 the Ontario By Bike™ Program (formerly Welcome Cyclists Program) was test piloted in the Niagara-area in partnership with Niagara-on-the-Lake Chamber of Commerce. A well attended initial workshop was offered and there was much interest in expanding the program. In 2014, the Welcome Cyclists Network was rebranded as "Ontario By Bike" to better position our services to cyclists who use the Network and our tourism partners including the business locations that are certified as bicycle friendly. 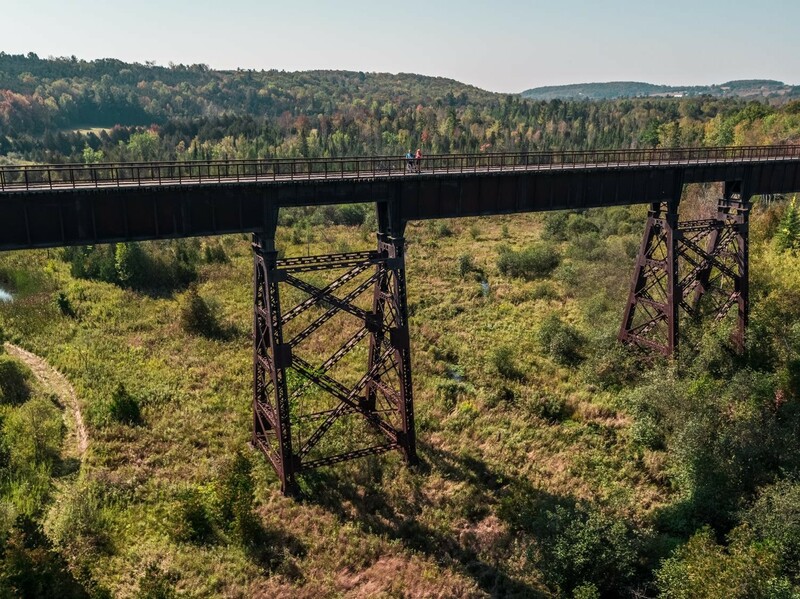 The new name more clearly and concisely defines our program and services with the addition of a place name, and further enhances the level of recognition of Ontario in the growing tourism industry sector of cycle tourism. In 2016, the Ontario By Bike Network and design mark became a registered trademark. All rights reserved. Following the initial workshop a number of participants went on to create their own regional network, naming it Cycle and Stay Niagara. Receiving widespread attention and an increase in the number of cycle tourists booking rooms this is a concrete example of the often intangible benefits of networking.